and share files in the cloud. 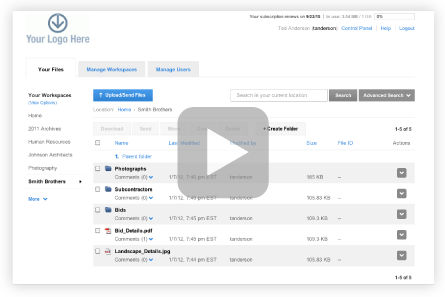 Send and share files up to any size. Unlimited users, workspaces and support. Leading-edge security keeps files safe. Browser-based with nothing to install. See how our pricing compares with our competitors. Completely rewritten with enhanced security, user templates and more. I think your company is amazing! Very user friendly, supportive, and extremely cost effective.